As children, we were playful, imaginative and infinitely curious. In our busy lives as adults, we can forget the benefits of the exciting and the new, the spontaneous and the expressive. 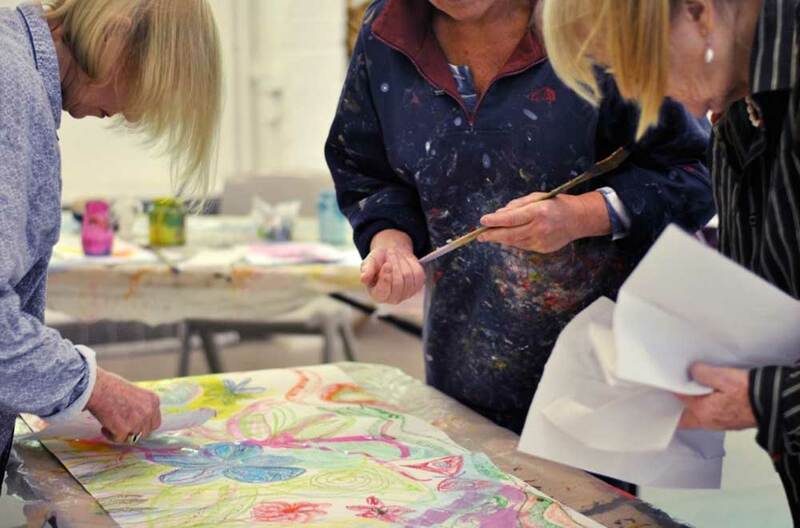 Through creativity and play, hands on making and interacting with others, Arts Lab helps to keep these elements alive in order to be happier in many aspects of our lives. The all pervasive internet and growing economic, political and ecological instability puts us in danger of losing what’s most vital for fulfilling personal and professional lives. Through shared creative making, we become better thinkers and problem solvers, more active doers and genuine collaborators with a love of learning from and with each other. Try something new and out of the ordinary, meet people and get involved in our artist-led events and workshops at the Lab. Unless otherwise stated, all levels of experience are welcome. From complete novices to those who’ve had art in their lives and want more, our artists will guide and inspire you. When the weather’s fine, the Dartington gardens are on our doorstep for inspiration. There may also be an exhibition on display in the Lab to fire up your imagination.